A commonly told theory of – ‘Right thing at Right Time at Right Place’ has been a prototyped formulae in any trade. This has indeed found it delve of emphasis across film industries as well. But the myth often gets broken by factual evidence that films with strong contents have no such confinements. In fact, with the recent array of movies getting tremendous receptions, producer Nitin Sathyaa believes the same with his ‘Jarugandi’ hitting screens on October 25. “More than claiming this to be a self-confidence of a producer, I strongly believe Jarugandi will join the league of contemporary content oriented films league that audiences are rejoicing over. Firstly, I am so happy that the season of good films is getting flourished unconditionally. 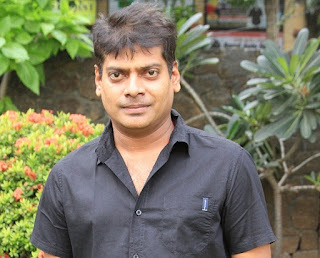 The way audience have turned cognizant over celebrating films of unique premises and themes has given me a great trust and hope that Jarugandi is a film custom-made for this season,” says Nitin Sathyaa. Nitin Sathyaa is producing Jarugandi for his home banner – Shvedh Group in association with Badri Kasturi.